There are umpteen cases where offshore outsourcing has proved to be the stitch in time that has saved the proverbial nine. 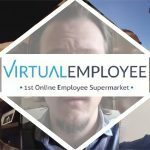 If one goes to the video testimonials and case studies’ page on the Virtual Employee website, you will come across literally tens of such cases where VE proved to be the missing X factor for our clients. However, like everything else, the internet is riddled with horror stories about offshoring too. And these stories often prove to be a turn off for prospective entrepreneurs looking to scout the “eastern horizons” for a more bargain deal, better access to world class talent etc. And you can be sure, that many ideas fail to take off after this turn off, so to speak. As humans we tend to focus on the negatives more often than the positives which, I guess, is fair enough in most situations, but rather unwise when it comes to decisions that are supposed to be calculated and deliberate. A good measure of how safe anything is in business is the overall track record. Offshore outsourcing has become a $13 billion behemoth, and that is pretty much yesterday’s news. The volume of work that flows towards even smaller offshore hotspots like Ukraine, Bulgaria, and South Africa is significantly large. Imagine the scenario for countries like India! And every once in a while, there is bound to be a rotten egg or two. In the case of ScerIS, this is exactly what happened. ScerIS and the case of lightning striking twice! ScerIS is a company in the Boston area which specializes in document management and business process reengineering. Needing developers to rewrite their flagship product, which was a document repository, ScerIS looked to outsource from the word go, which they did to a vendor in the Ukraine. Almost immediately, the project ran into issues, due to which ScerIS decided to change their offshoring preference to India. Unfortunately for ScerIS and the man in charge of the project, VP in Application Development, Larry Spencer, lightning did strike twice and the project again ran into doldrums with the Indian vendor. One couldn’t have begrudged a decision taken by ScerIS then to hire professionals in-house or look for a vendor locally. However, ScerIS did not and persisted with its decision to look for offshore talent, which is where Virtual Employee with its very unique business model came into the picture. Happily, ScerIS and Larry found what they were looking for, as our Indian developers hit the ground running. When VE visited ScerIS and Larry in Boston, he was looking to ramp up his virtual team significantly. All experiences are unique and the same all at once. While VE’s unique business model proved to be the clincher as far as Larry was concerned, the business model exists precisely for this reason. Ultimately, there cannot be any supply without a possible demand. And for ScerIS, it all boiled down to finding the right partnership. While offshoring is a vast space, operating in hundreds of domains, which call for different skill sets and educational backgrounds, it’s often looked through a very narrow prism of money. Money is important, yes. But again, that factor is a given, thanks to the enormous difference of median incomes of the source countries like US and UK and the destination countries like India and Philippines. What businesses need to ideally do is a little bit of research, and identify the right vendor. Off course that might not completely insulate you from problems, and you might still realize that you are in an unhappy marriage with your vendor. However, the chances will obviously be lower of something like that happening. The odd case will always be there, ‘cause what is perfect after all! To be fair, outsourcing is just a useful tool and not a magic wand! Hiccups will occur, like in everything else. Another important aspect which businesses tend to gloss over is involvement. As Larry pointed out when we visited him, the first time when ScerIS outsourced to India, they did so to a “…bluechip offshoring company”, a firm with CMMi Level 5 certification. In Larry’s own words, the expectation that was created was “…all I had to do was make a phone call and I would get software in a little while”. Larry soon found out that development just does not work that ways and by following such a model, the project was opening itself up massively to delays and misinterpretations of the brief, however detailed. ScerIS had absolutely no control on the project, an essential component in development. And that is where, he has found success with VE, since a more intimate remote employee model allowed Larry to practically hold the reigns throughout. That is off course, not to say that other models won’t work. As I said, it’s about understanding your requirement first and then trying to identify a vendor or partner abroad. The ScerIS example clearly tells us that one bad experience should not be the parameter on which offshoring should be judged. Infact ScerIS had to go through it twice, but ultimately they stuck to the model and ultimately tasted success and significant savings. Anyone feeling apprehensive about outsourcing work to offshore companies must keep in mind the massive savings and the access to talent that offshore destinations like India provide. And when I say access to talent, I just don’t mean quantity. I mean quality. A cursory glance at the top IT companies in the US shows an incredibly large number of immigrant professionals, especially Indians. Indians corner as much as 74% of H1B Visas annually (source- The Times of India). Surely, there can be no better parameter to judge the quality of talent available in a region! Often, and sadly very often, the failure of an outsourced project has as much to do with the client as the vendor. Once you are saving two thirds on local costs, do you really want to look for cheaper options? Or would you rather ensure quality? Unfortunately, a bid to find the cheapest available talent leads to overlooking critical parameters like vendor capability, business model and available talent. When that happens, the venture is doomed to fail. Further, outsourcing horror stories are often one sided, with vendors getting little chance of having their say. And we all know that stories can take a life of their own, adding a dash of color here, a bit of spice there! Where offshoring is concerned, there must be plenty good in this industry to have grown so, and one should always take in the macroscopic view in such decisions in my very humble opinion, because the microscopic one might not be the full picture.